This story about EV sales was first published by Gas2. 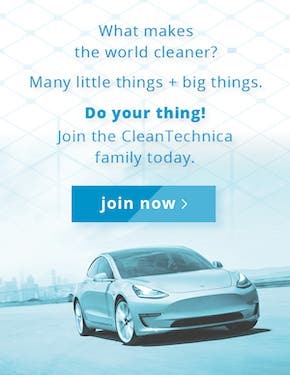 Electric car advocates, like the ones who gather here at CleanTechnica, like to imagine that everyone will be buying an EV from now on and that cars with internal combustion engines will just disappear the way Conestoga wagons did a century ago. But basing predictions on hopes is fraught with pitfalls. The people at Energy Innovation have substituted some research in place of dreams. Their analysis predicts that EV sales will account for 65% of the new car market by 2050. That could go as high as 75% depending on future battery prices and fuel costs. Update: This research was published before GM stated that it is working toward an all-electric future, which it presumably expects to achieve well before 2050. The case for electric transportation is clear. Nearly one quarter of total energy consumed in the United States each year is attributable to gasoline- and diesel-powered vehicles. A vehicle powered by an internal combustion engine is only about 20% efficient. An electric car is about 60% efficient according to the US Department of Energy — an increase of 300% compared to its fossil fueled cousins. It typically takes about $1 of electricity to power an EV for 43 miles. Electric cars also have no tailpipe emissions, especially carbon dioxide and particulates. The latter are tiny particles that result from combustion of fossil fuels. They are small enough to lodge in people’s lungs and are thought to contribute to the premature death of as many as 200,000 Americans annually according to an MIT study. 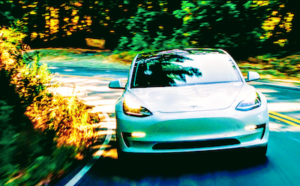 It is true that an EV is only as clean as the power plant that makes the electricity to recharge it, but the trend toward electric cars is making people more aware of the pollution caused by coal-fired generating plants and adding to the pressure to remove them from service and replace them with electricity from renewable sources as soon as possible. Count greening of the grid as one benefit of EV usage. 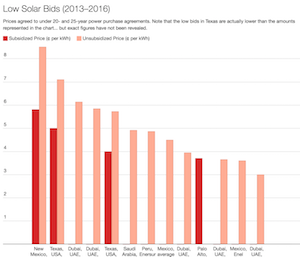 Energy Innovation has recently introduced its online Energy Policy Simulator, which takes into consideration such factors as battery prices, fuel costs, electricity costs, and government fuel economy standards to project the level of EV sales in the future. All those factors are subject to change, of course, so the Simulator allows the user to vary the inputs to see how they affect the uptake of EV cars in America going forward. For instance, if gasoline prices remain as low as they are today, fewer people will opt for electric cars. 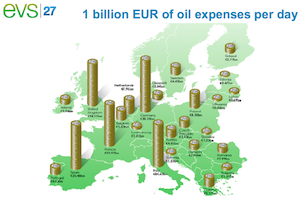 Conversely, high gas prices will increase the number of electric cars purchased. An oddity discovered in Energy Innovation’s research is that raising fuel economy standards has only a modest impact on the number of electric cars that will be sold in the foreseeable future. The Energy Innovation report ends with this conclusion. 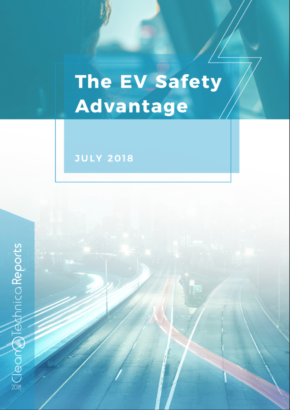 “Due to declining EV costs, growth in charging station access, and increased familiarity and acceptance by the public, EVs will play an ever greater role in the U.S. transportation sector. EVs are likely to represent at least 65% of sales in 2050, and with strong technology cost declines or high oil prices, could represent 70-75% of sales in that year. “Tighter fuel economy standards on gasoline light duty vehicles only slow EV adoption to a minor degree, so policymakers aiming to reduce pollutant emissions should consider using both fuel economy standards to help drive down pollutants rapidly in the near-term and EV promotion policies. In other words, the case for EV transportation is strong, but there are political and economic roadblocks that need to be overcome. In general, lower prices of electric cars will drive sales and push the installation of more EV chargers. Energy Innovation expects battery prices to fall to $73 per kilowatt-hour by 2050. Many industry observers expect them to fall a lot further and faster than that. 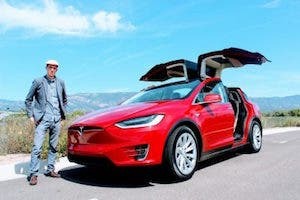 Editor’s note: Importantly, many of us think that electric cars will take over the market not just because of lower cost, but possibly more so because of unique EV benefits — greater convenience, instant torque, a quiet and smooth driving/riding experience, etc. It seems this simulator tool doesn’t take those factors into account.